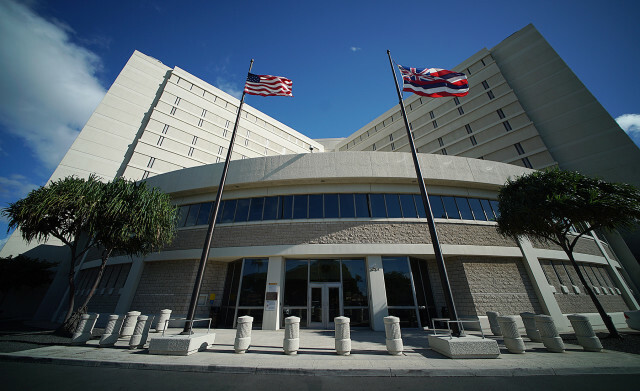 The state of Hawaii will not be buying the Honolulu Federal Detention Center any time soon. On Tuesday, two state Senate committees deferred House Bill 1177, which proposed the purchase of the building near the Daniel K. Inouye International Airport to ease overcrowding at state correctional facilities. The committee members made little comment about why they killed the House bill. Sen. Clarence Nishihara actually called for deferral of HB 1177 before a colleague reminded him that he needed to first hear testimony. Kat Brady, coordinator of the Community Alliance on Prisons, an inmate advocacy group, testified that Hawaii did not know if the federal government would even be interested in selling the facility built in 2001 for $170 million. “Why buy a 20-year-old building just to have to repair it?” she said, adding that the center has no green area for outdoor recreation. Rep. Gregg Takayama, the author of HB 1177 and Nishihara’s public safety committee counterpart in the House, said he was disappointed with the deferral. 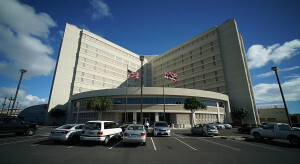 The Honolulu Federal Detention Center currently operates at one-third of its capacity. Takayama believed his bill could be a quick fix to the state’s overcrowding dilemma and save the state millions of dollars. The center currently houses just 400 prisoners but has capacity for three times that amount. Hawaii’s correctional facilities are so overcrowded that it has about 1,400 inmates on the mainland in a private for-profit prison. No dollar figure was incorporated into HB 1177, something that would have happened had the bill advanced. Takayama argued that its passage would show the federal government that Hawaii was serious. “I do not see why you would want to foreclose that option when it would not cost you anything if the federal government is not interested in selling,” he said. There were no votes against HB 1177 as it moved through the House before crossing over to the Senate Feb. 28. Nolan Espinda, director of the Department of Public Safety, which manages the states prisons and jails, said in written testimony that the agency supported the intent of the legislation. Last week 21 inmates who had rioted in protest of overcrowded conditions at a Maui jail were transferred to the Halawa Correctional Facility on Oahu. “We should not wait for something to happen here on Oahu like what happened on Maui,” said Takayama. The bill died after a joint hearing of the Senate Public Safety, Intergovernmental and Military Affairs and the Government Operations committees. The same two committees on Tuesday passed House Bill 1552 which calls for establishing the Hawaii Correctional System Oversight Commission. It would create a position for an oversight coordinator and transfers “all rights, powers, functions, and duties” of the state’s Reentry Commission and Corrections Population Management Commission to the oversight commission. Sen. Laura Thielen said the amendments call for adding a member to the commission with knowledge in crime victimization, and ensuring that the commission would be subject to the state’s public records and open meetings requirements.